Croatia is THE party place! Whether you are looking for an after beach party or just to party all night long, you chose the right destination. Famous DJ’s, young people from all over the world, the beach, the warm and clear sea, cocktails and great food… you’ll find in Croatia everything you need for a great party vacation. Croatia is famous for its wild and unspoiled nature, warm and clear sea, and its many historic monuments that are under protection of UNESCO. Hvar is the place to be seen. We call it the Croatian ‘St Tropez‘ because this is the favorite destination of the Jet-Set. Do you know the reason why this little fisherman village is suddenly the place where famous people come to party?! Hvar became the party place thanks to a bar called Carpe Diem. 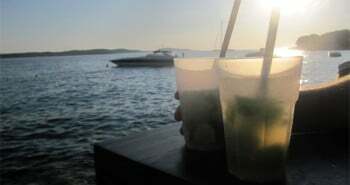 It is a cocktail bar that is situated in the old town of Hvar, on the old harbour, right in front ot the sea. 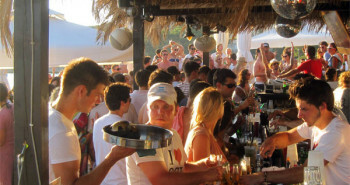 Carpe Diem has quickly become the place where all the young people spending their vacation in Hvar would meet. It was the place to be, great parties with the best Dj’s, coktails and excellent atmosphere. Today other bars are determined to enter in the competition and organize better after beach parties than Carpe Diem, like Splash bar in front of the hotel Amfora or Hula Hula bar nearby. Once the After beach party is over, bars take a few hours break. That will be the perfect time to get dress and enjoy a nice dinner in one of the many restaurants in the town. In the evening, Carpe Diem opens again but the atmosphere is much more chic and stylish, a true fashion show where you will have a chance to see some celebrities. But remember to make a reservation to have a chance to get in. Later the place to be is called Veneranda nightclub, it is located just a few minutes walk from the harbor. It holds up to 1.000 guests and boasts a massive outdoor dance floor with a swimming pool. Hvar is the chic destination in Croatia and deserved to be called the Croatian Saint-Tropez. But do not expect to find here luxuries jewelers and big brand stores. Hvar has kept the charm of a small fisherman village, you’ll see grandmothers who sell local products like lavender, olive oil or homemade brandy. You will also have the choice bettween pizzerias or fine dining restaurants, between small apartments and 5 star hotels. Expect to pay from 7 to 15 euros a cocktail. 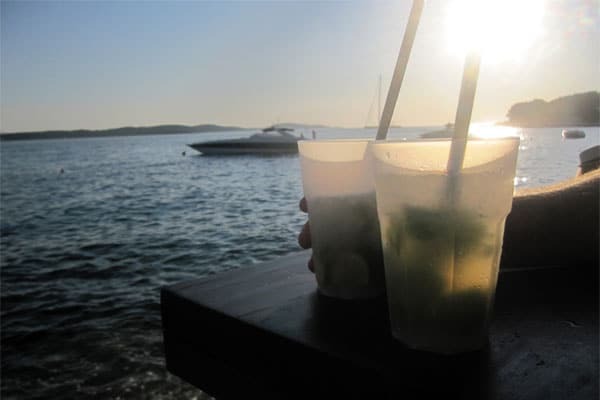 So whatever your budget you will for sure have an unforgetable vacation in Hvar. Novalja is at first glance a village that is not different in any way from the other villages of Pag island. It has a small port, bars, restaurants and everything that one needs to spend a quiet holiday away from the crowds. But Novalja is much more than that. Novalja is the party place! We call it the Croatian Ibiza. What makes the difference is the beach Zrče situated 2 km from Novalja, and specially 3 clubs situated on the beach: Aquarius, Papaya and Kalypso. The clubs are open all day long from mid-June but they are the most crowded in July and August. At that time they welcome up to 7.000 people per day. Even if Hvar is known as a party place, Novalja has a different atmosphere. Here you can forget the chic and glamour, it’s only about party all day and all night. 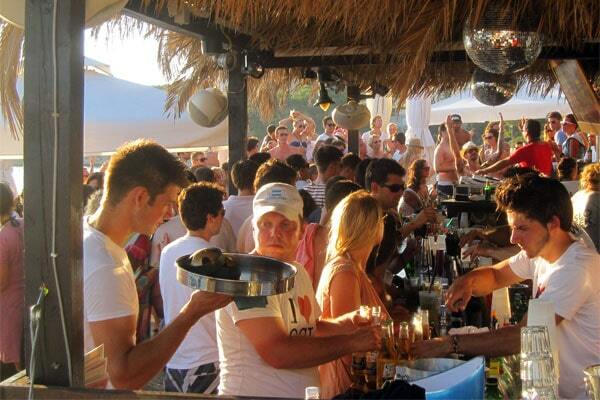 Zrče beach became famous by hosting the best DJ’s of the moment. After beach party starts everyday at 4pm and the party is on until 6am next morning.